The world of mobile has become extremely competitive, a place where even frameworks compete with each other. Till date, jQuery library was a king but scenario has completely changed these days. Although, jQuery is a great library that could be easily maintained, manipulated and controlled DOM elements. All it lacks in offering an appropriate MVC architecture. Whereas, on the other hand, AngularJS can do everything and much more than that done by jQuery, i.e. from MVC pattern, data binding, forms validation, dependency injections, templates and so more. 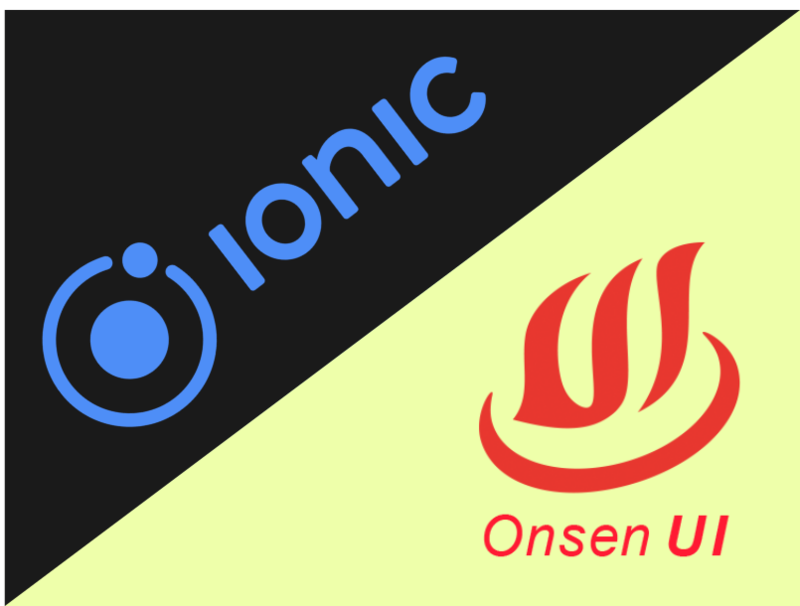 Ionic and Onsen UI are such AngularJS based mobile UI frameworks that end up making your mobile app development transition smooth and painless. In the following post, I would like to help you in spotting the difference between the two frameworks for you to get a better perspective. Being an Ionic app developer, I have worked with both of them. And speaking about their similarities, both frameworks are built around AngularJs and they are heavily dependent on directives. Moreover, both of them support Android 4+, iOS 6+ (some features are available on Android 2.3) and some kind of split view feature so they can be used for table development. With a working theme builder, both Ionic and Onsen comprises a large widget support (directives). The beauty of Ionic framework is its modern simplicity. The framework provides a more mature feature and CSS component set and out of the box. Now I am sure you must have come across the Injectable delegate services, the ones representing the UI elements (directives)? They give you more control over UI/UX interactions. The development community is (currently) very active and it's gaining traction. Couple with Monaca IDE, some of the features are only available only if you use Monaca. Otherwise, you have to create things by yourself. Both the frameworks will deliver what they are promising. So try! This article is written and shared by ionic app development company in India, named eTatvaSoft. Get in touch, if you have any query related to ionic project.